Frissítve: 2014 Szeptember. Legfrissebb játékos noteszgép tesztjeink közül kiválogattuk azt a legjobb tizet, mely elnyerte a tetszésünket annak érdekében, hogy megkönnyítsük olvasóink döntését a vásárlásuk során. Like a colorful bouquet of flowers. Whether you are looking for a slim 14-incher or a powerful 17-incher, there are high-end notebooks for nearly every taste in the meanwhile. Although only one device made it into our Top 10 last month (Medion Erazer X7831), all reviewed devices were actually exciting: the razor sharp UHD display in the Lenovo Y50-70, the unusual color and shape of the Gigabyte P25X v2 or the »mixed class« Acer Aspire V3-772G. Otherwise, our Top 10 are still dominated by high-end gamer from Asus (G750JM/JS/JZ), Alienware (17), and MSI (GT70). Smaller and/or thinner devices have it difficult, not only because they usually feature weaker graphics units, but also due to their smaller fan. Currently, none of the notebooks is cool, quiet, AND slim. In other words: Buyers have to take certain compromises. 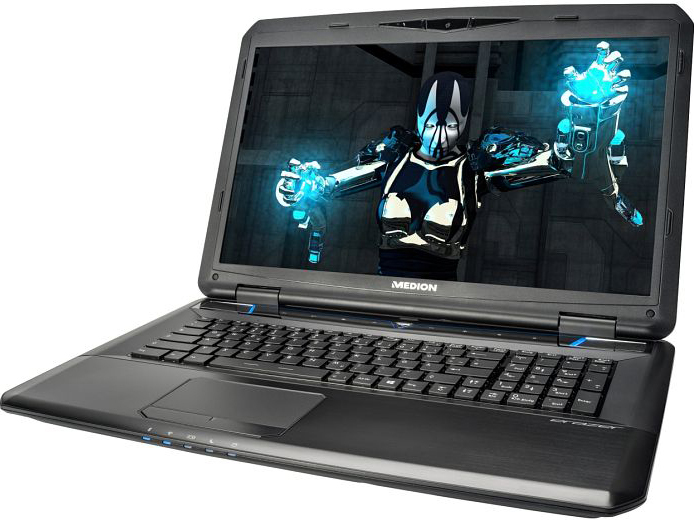 Bulky, heavy, and powerful:The Medion Erazer X7831 is a conventional high-end notebook. Alike the X7825 predecessor, it uses the 17 inch MS-1763 chassis from MSI, whose look was improved in many ways. In order to save costs, the lid is not from metal, but only from plastics. A further difference to the MSI original is that the keyboard light only has one color instead of several colors. Apart from these, the notebooks are basically identical. 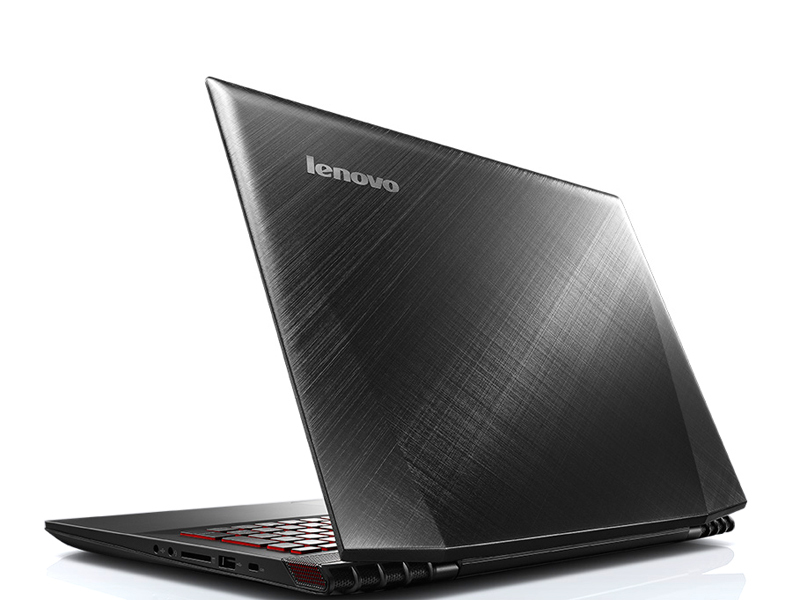 Quad Core processor, SSD, and GeForce GTX 880M can also handle demanding software. Nearly all games run with maixmum details and multiple anti-aliasing. The sound system and the matte display also meet the demands. However, it is a pity that the IPS technology (wider viewing angles, better colors) is not yet usual in 17-inch devices. Nevertheless, MSI created a powerful bundle with halfway attractive price, which performs hardly worse than the MSI counterpart. Compared to other gaming notebooks, the 17-incher delivers many interfaces, a quite big battery, and easy maintainability. Cons are throttling under full load, suboptimal temperature and noise and smaller flaws in build quality and design (creaking lid, location of some interfaces...). 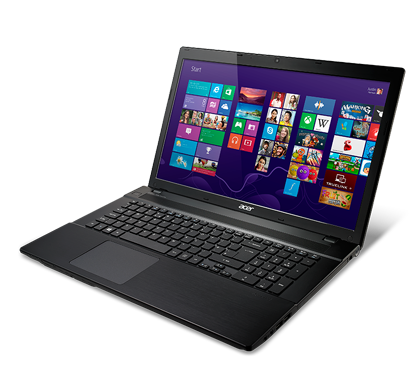 The Acer Aspire V3-772G is a mix from multimedia and gaming notebook. With a slim 35 mm case, it seems to be an all rounder, but there is gaming capable hardware inside. Although the GeForce GTX 850M often reaches its limits in demanding games, the GPU is sufficient for casual gamers who do not always need active anti-aliasing and 1920 x 1080 pixels. Thanks to a Solid State Drive and a frugal quad core CPU (37 vs. 47 Watt TDP), the V3-772G can also convince in other tasks. Users get a lot of value for a price of just under 1200 Euro. Asus demands about 200 Euro more for the comparably equipped GL550JK. 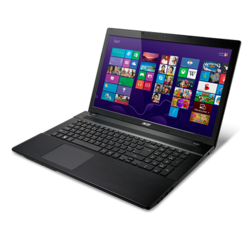 The Acer only achieved a total rating of 82% because of the wobbly display, the rather short battery runtimes, and the poor speakers. Furthermore, there could be more interfaces. The convenient system noise is a pro. Many competitors are significantly louder. High-end metal surfaces are also not to be taken for granted. Despite same specification (Chi Mei N173 HGE-E11), the display is not exactly the same than the Erazer X7831's. Note: With the VN7 Nitro, Acer has a brand new opponent up its sleeve. Gigabyte P25X v2: May it be a little bit yellow? It is hard to give a notebook a stranger design. The P25X v2 does not only have a yellow lid, but also a silver bezel and a battery with vent holes. We think that the overhanging edge is inappropriate. The shape looks attractive, but buyers might scratch their head over the fact that all interfaces are hidden. The slim design is not a flaw at all. Despite very powerful components (quad core, GeForce GTX 880M, three mass storage devices), the P25X v2 is only just under four centimeters high. A weight of 2.8 kg is also quite low for a gamer. The 15-inch device also performs well in other aspects. Keyboard with light, Blu-ray burner, many features: The P25X v2 tries to justify its steep price. The contrast-rich IPS display with good color fidelity and the long battery life are especially impressive: No device in our list reaches a maximum of 14 hours. Typical Gigabyte, the devices unfortunately falls short in build quality. For a price of about 2000 Euro, the notebook feet should not slip and there should not be loose parts. In addition, the manufacturer could also improve emissions, sound system, and connectivity. While we criticized the quality of the FullHD display (high black value, low contrast, narrow viewing angles,...) in the first review, the UHD model had to prove its capabilities recently. To anticipate the result: Nearly all values are significantly better. Otherwise the Y50-70 inherited the strengths and weaknesses of its cheaper brother. The sensitive display bezel made from high-gloss plastics, the temperature increase during gaming and the limited Turbo are cons. In addition, the feedback of the keyboard is low and there are not really many interfaces. In return, the Y50-70 scores points with relatively high battery runtimes, an elegant design, and acceptable speakers. It deserves praise for the slim case (only 24 mm) and a passable weight (2.3 kg). Other than most gamers, the Y50-70 is easy to carry around. In our opinion, the main pro is the good price-performance ratio. 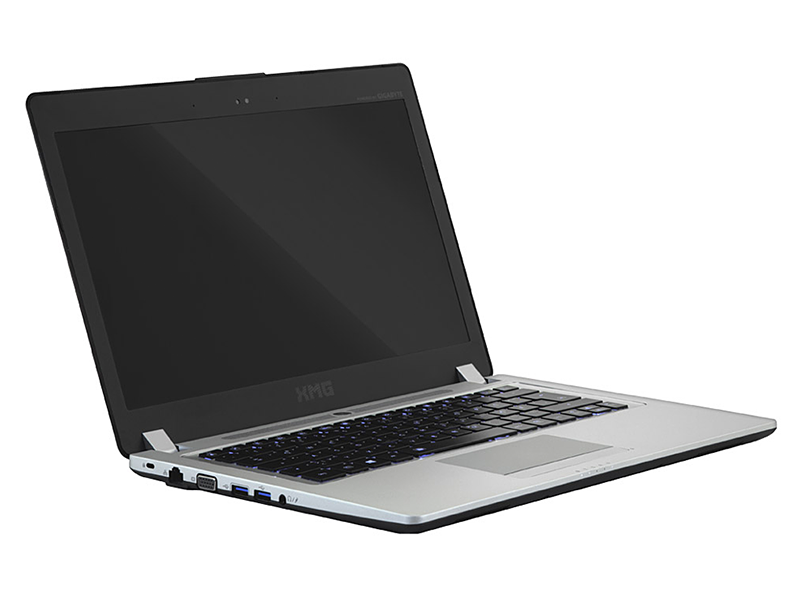 The FHD model is available for just under 1000 Euro. 1500 Euro for the reviewed UHD model (quad core processor, 500 GB SSD, GeForce GTX 860M) are also acceptable. Schenker C404: too thin for this world? With the brand new C series, Schenker enters unknown territory. Instead of a Clevo barebone (P, A, and U series), the C404 and the C504 use a Gigabyte chassis. This also explains why the build quality could be better. Apart from keyboard and edges, there are also flaws on the underside (e. g. jutting feet). In the future, Gigabyte has to significantly improve quality control and manufacturing accuracy. In 2014, notebooks should meet a certain base level, but not all notebooks of this manufacturer can do so. Let's return to the C404: If you have been waiting for a powerful gaming laptop. the Schenker is a good choice. A GeForce GTX 860M in a chassis with a height of only 21 mm and a weight of 1.8 kg, deserves respect. If you do not consider the build quality, the 14-incher has a nice design and noble metal surfaces. The contrast-rich IPS display, which provides excellent images, is another highlight. But, the C404 does not have good speakers. In addition, you should not expect moderate temperature and noise emissions. Note: We will review the C504 in September (GTX 860M, new display lot). With the P27G v2, Gigabyte does not follow the slimming trend and uses a »normal« thick chassis. Other than the P34G v2, the P35W v2, and the P25X v2, the case is not from the manufacturer itself, but from the barebone expert Clevo. Apart from Gigabyte, also Schenker (XMG A704) and Nexoc (G728II) use the same model, but the latter have to do without keyboard light. A big advantage of the W370SS barebones is the excellent maintainability. If you remove keyboard and the hatch on the underside, you'll reach all important components (cooling system, mass storage, RAM, radio module etc.). The interface layout and the features are also nothing to sneeze at. The P27Gv 2 features a Blu ray drive and an mSATA-SSD. We also liked the big palm rests, which never get uncomfortably warm. The rubberized touchpad and the poor sound system are points of critique. Alike most gamers, the 17 inch P27G v2 is rather loud. Many users might also feel that a height of five centimeters is rather high. But, the price is alright: The test model costs just under 1200 Euro.